Whether you are a former or an existing client or just visiting our website, the privacy of our users is one of our main concerns. We are committed to safeguarding all personal information collected from our clients and visitors. By providing AAFX Trading with your personal information such as your Name, Mailing Address, ID number, Passport Number etc., you are providing us with full consent to gather, utilize, store and protect the information provided in the manner described below. When the Information is Collected from our Clients? The above information collected from clients, help AAFX Trading understand your financial needs, provide you with products and services suitable to your needs, process your account transactions in a timely manner as well as provide you with the highest level of customer support. How the information is collected from AAFX Trading Clients? We use a number of cookies on our website for analytics to help us understand the usage and how visitors engage with our website gathering anonymous data. A cookie, also known as an HTTP cookie, web cookie, or browser cookie is a small file saved on people’s computers to help store preferences and other information that’s used on webpages that they visit. Cookies contain information that is transferred to visitors’ computer hard drive and may include information which allows us to better understand how they are navigating across the site. Visitors can choose if and how these cookies will be accepted by changing their preferences and options in their web browsers. It is important to note that there is not any personally identifiable information collected as part of this process. The company may share information with affiliates and introducing brokers, mainly for the calculation of these entities’s compensation. How does AAFX Trading Protect the Information you Provide? Right on top of the AAFX Trading priority list is clients security, therefore AAFX Trading takes all the necessary steps to make sure that your data is safe with us. AAFX Trading use the top notch data security technology, firewalls and data encryption. Every client owns his own personal user name and password which he uses to access AAFX Trading systems. Links found on the AAFX Trading Website. If you have any questions, concerns or complaints, please don’t hesitate to contact us via phone, email or chat. 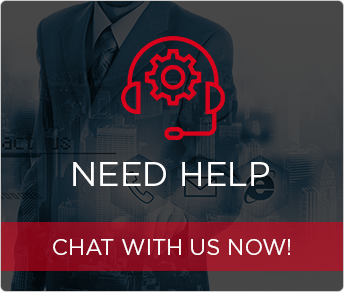 AAFX Trading offers customer support in multiple languages.